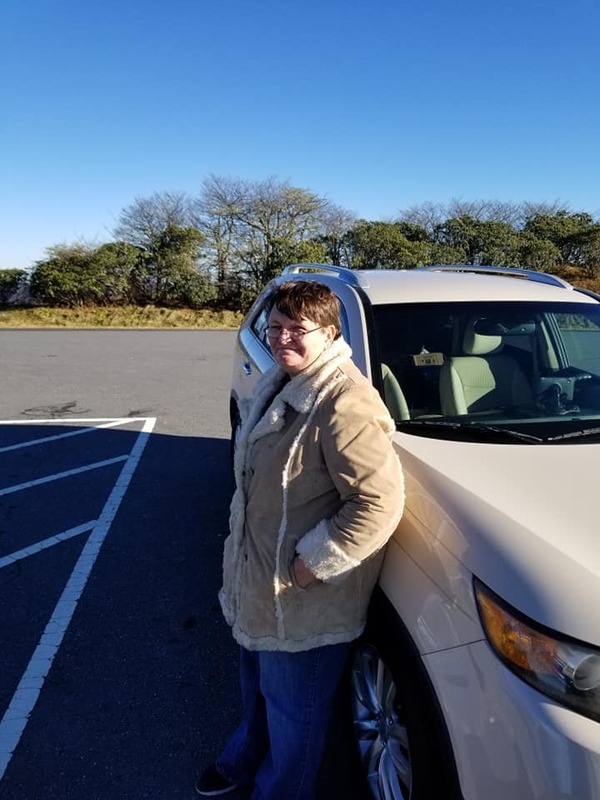 I have been off of work since August 31st and will be starting a new position with Allergy Partners on Monday, November 26th as a Help Desk Manager at their corporate office in Asheville NC. I am not sure if I am going to know how to feel after being away from work for almost 3 months. I am looking forward to the new challenge. Katy and I decided to spend a week in Black Mountain before I went back to work. We rented a one bedroom shoebox up in the mountains. I say shoebox because the apartment is very tiny. The photos that I reveiwed online from the rental company were a bit deceiving because the place looked much bigger than it actually is. The recliners in this place probably date back to the 1960 era. 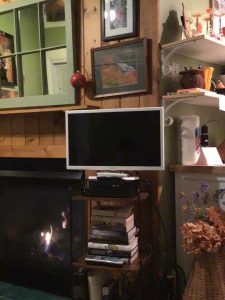 It does have a natural gas fireplace that can be viewed in the living room and bedroom at the same time. It puts out heat and has kept us warm. The shoebox does not have a washer, dryer or dishwasher. 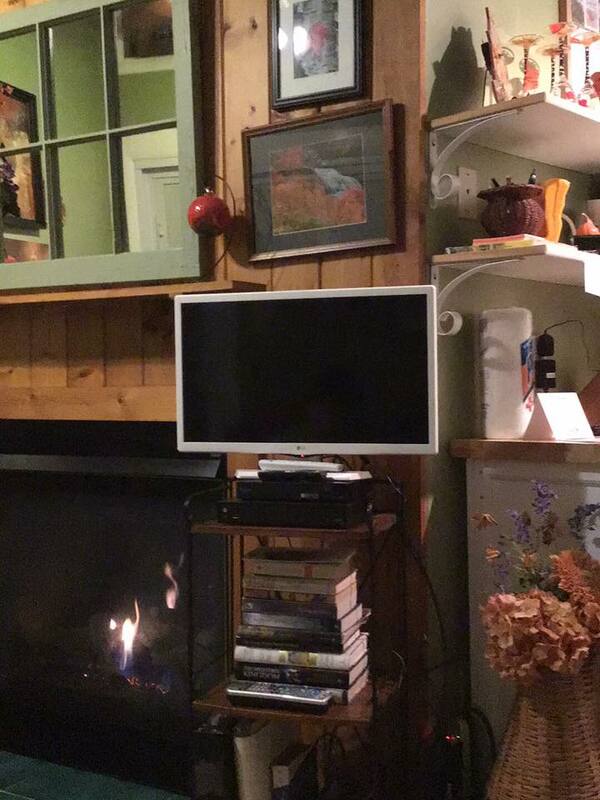 I had to laugh when I saw how tiny the TV is. 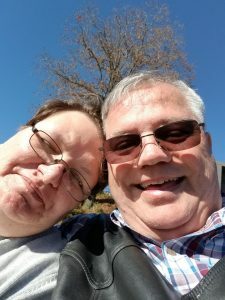 Each day we have tried to go check out different attractions in Black Mountain or Asheville. Earlier this week we went to a place called Chimney Rock and it takes you about 35 minutes to wind your way up the mountain to get to it. There is a brook that runs along the side of the roadway for a good ways. We stopped in Chimmneyrock and had lunch at Genny’s Family Restaurant. We also made our way up the Blueridge Parkway and stopped at one of the paved overview areas. It was very cold where we stopped. We were only able to go up so far because there are areas of the Blueridge Parkway that are closed to inclement weather. 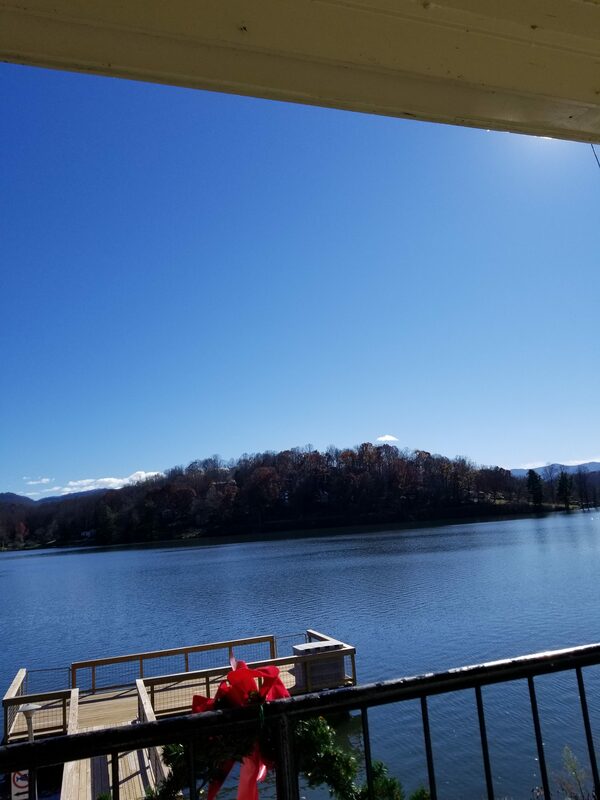 We also made our way up to Lake Junaluska which is west of Asheville on your way to Knoxville TN on I 40. We went there on Wednesday and there was not a cloud in the sky. This image is from the porch on the back of where the main stores are located behind the hotel. There are rocking chairs you can sit in to admire the view which is spectacular. 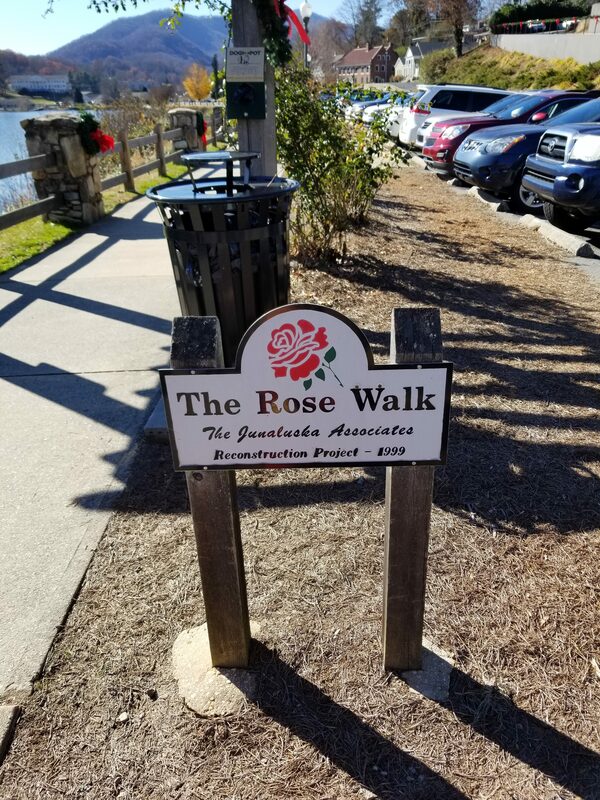 There is a walking trail that goes all around Lake Junaluska called the Rose Walk. You can see the lake, view the ducks and get exercise by walking around the lake. 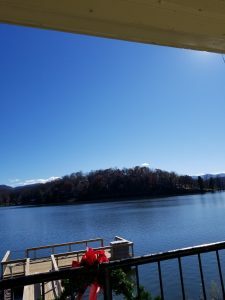 From what we can tell we really like Asheville North Carolina and are looking forward to moving here permanently in six months if all goes well with my new employer.